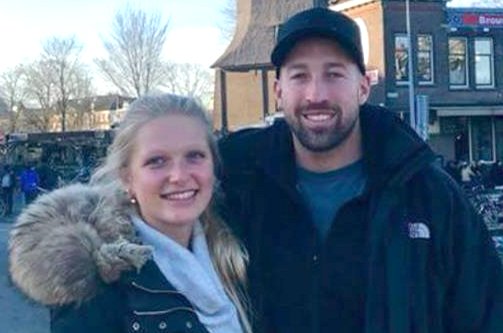 Anya & Ben had 28 years to go on their mortgage when Freehold Express showed them how to pay their mortgage off in 7 years and save $178,000 in interest. After only 3 months with Freehold Express Anya and Ben learned they were on track to pay their mortgage off in only 4 Years. Anya and Ben have since built their dream home which Freehold Express swiftly turned into a reality for them. Thanks to Freehold Express Anya & Ben were able to keep their original home as a rental property. Anya worked for Gareth Morgan Investments now trading as Kiwi Wealth so she was already pretty good with money or so she thought. Anya now freely admits that she was doing it all wrong, she was doing it her lenders way, which is a darned hard way to pay a mortgage! After three years with Freehold Express Anne is on target to save $195,000 in interest payments and take 17 years off the term of her mortgage. I was recommended to Freehold Express by a friend. At the time my mortgage was $234,121 and I had 29 years to go. Since coming on board with Freehold Express I have purchased a second rental property. I have been given the freedom to know that I will pay my mortgage off 17 years sooner than the way the bank had set my mortgage up. I plan to semi-retire when I am about 55 and this is now going to be possible since becoming a client of Freehold Express’. You don’t even have to do anything differently to keep the plan running; it is so easy. Working with Freehold Express I have received professional service and regular updates as required. I would recommend putting a Freehold Express plan in place. I showed Jonathon how to save 14 years off his 22 year mortgage of $275,000. He planned to pay his mortgage off in August 2018. Jonathon thinks that he would’ve paid his mortgage off in less than five years if he hadn't purchased 2 rental properties, renovated his home and bought a couple of motorbikes. He is about to purchase his third rental property and will swiftly pay off the remaining $15,000 mortgage on his own home. Jonathan saved well in excess of $137,547 in interest and all of this was done in only 7 years and 8 months. Lynn & Dorothy had 14 years to go on their mortgage that was costing them $1,400 a month when they put a Freehold Express Plan in Place. Freehold Express showed them how to discharge their mortgage in 4 years; however, Dorothy and Lynn actually discharged their mortgage after only 2.8 years. NB: Dorothy used to work at a bank. Just a note to thank you for showing Dorothy & I your plan on how to reduce and pay off our mortgage over a shorter period of time, it has in fact worked out much better than expected because your plan was conservative which meant we have not had to change our lifestyle. Our mortgage will be paid off in 4 years instead of 14 years 6 months had we carried on with our previous arrangements with the bank. We find it hard to believe how little interest we have had to pay. This plan lets us make better use of the interest rates available at the time of restructuring our loan. The only regret we have is that we did not get in touch with Freehold Express when we first seen your advertisement 3 years ago. As the CEO of a Financial Services company I was very interested in what Freehold Express was offering and what partnership opportunities might be available. I entered into discussions with Dennis purely from a business opportunity perspective. In order to really understand what Freehold Express is offering I had to go through the training and I used my own financial situation as the test case. To say I was impressed with what I discovered would be an understatement, the Freehold Express plan was easy to understand (backed up by some smart software), made complete sense, stood up to searching questions and is nothing like the debt reduction plans my bank had recommended. Not only was I impressed with the plan, I really understand how this can help people struggling to get ahead financially, it is just the right thing to do. Not only do I want to explore future business opportunities with Dennis, I want to help him take this to people who have committed themselves to the service of their country and help them get ahead. Dean is the former Deputy Chief of the Royal NZ Navy. We had done a lot of research around buying our first house. We had managed to easily find plenty of information around searching for properties, the buying process, conducting due diligence and getting the funds ready to purchase the property. Once the excitement had died down we quickly began searching for information on structuring our mortgage and looking to reduce our mortgage repayments. We were very surprised by the lack of information available. We thought that it was wrong that the biggest loan restricting factor in our lives, we knew the least about. 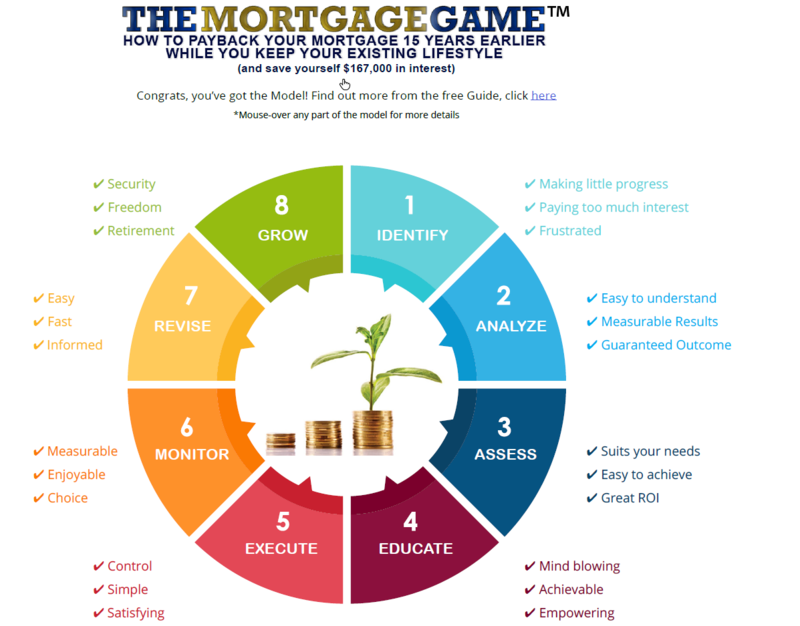 After reading The Mortgage Game we started to understand why. This reinforced our experiences in Europe where mortgage rates were 3-4% cheaper than they are in NZ. We began to look for independent financial advice. When we found out about Freehold Express, we were naturally sceptical, especially as all the advice seemed contrary to the opinion of our family and friends. The concept of being mortgage free in 12 years sounded unachievable. Retrospectively this just showed how badly we had been conditioned. After meeting with Dennis we undertook his training and saw the light. We left armed with a plan that allows us to meet the 12 year timeline in a very easy manner. We haven’t had to make any changes to our lifestyle and believe we are on track to pay this off completely much closer to the 10 year mark. The education we received has opened our minds to what we thought was unachievable, and given us the tools we need to actively and easily reduce our mortgage debt. Dennis has a lot of experience and is an excellent coach. He took his time to ensure our questions were all answered and empowered us to beat our mortgage rapidly, and on our terms. I highly recommend Dennis and Freehold Express to anyone who either has a mortgage or is looking to get one. We are overjoyed to know that we are putting our money to best use without limiting our lifestyle, and exited at the prospect of being financially free much sooner! Mel and I wish to sincerely thank you and your team for what you have done for us. When I was contacted by Freehold Express after requesting a copy of their Mortgage Game book I was dubious to say the least. The rule of thumb is if it sounds too good to be true then it probably is. “We could save you $189,000 in interest and reduce your mortgage to 13 years”, they said. In considering whether to invest our time and money into Freehold Express, my wife and I did our due diligence separately so that we could cross check each other and find the cracks. We found many discussions and forums online about Freehold Express and many opinions about what they may be doing and offering. A lot of these people were professionals in managerial and accounting positions. We checked the internet regarding the company and Dennis to dig the dirt but there were no alarm bells that we could find. We decided that even if only half of what Freehold Express suggested was possible we would save $95,000 on our mortgage. So we took the plunge and invested in Dennis and Freehold Express and we are so glad we did. My wife and I are intelligent and educated people but we realised very quickly we had it all wrong. And those so called professionals online who were guessing at Dennis’s plan ......... they were so wrong in so many ways. Dennis is life changing in a matter of minutes upon speaking with him. He will open your eyes to a world so simple you will feel silly and wonder why you didn’t know this already. You will only realise his value once you take the plunge and I promise you will see his value within minutes, literally. It’s just crazy. 10 out of 10 in all aspects! Thank you for setting us free Dennis. My wife and I have always been, or so we thought, a little more pro-active than most at paying off our mortgage. In my job I work with numbers all day and thought I had a pretty good understanding of finance and debt. We had seen the claims made by Freehold Express around debt reduction and were curious but also sceptical. So we got a free Mortgage Analysis and they came back with a result that significantly reduced the interest and term off our mortgage. I thought this sounded too good to be true and if I'm honest the fee kind of put me off too. Fortunately Dennis called me a year or two later and encouraged me to give them a shot. We did and we do not regret it for a moment. We learned that essentially we had been playing the banks game all along and paying far too much interest because of it. We are now six months in and have found that we have more money, if we need it, while our mortgage is reducing faster than before. We are now confident of achieving a comfortable retirement. We haven't had to tighten our purses and even went overseas for Christmas. Implementing our Freehold Express plan means we have more certainty and control over our financial destiny. Freehold Express has really changed the way we think about our finances so we gave his training a 10 out of 10. The plan was easy to understand and also implement. There was no need to change banks and our existing bank implemented everything without a fuss. I would definitely recommend implementing a Freehold Express plan. It costs you nothing to get a Mortgage Analysis and even the fee for a plan is essentially self funding. Don't put it off like we did, do it today and your mortgage will be gone years before you ever thought possible. Warren is a Registered Financial Adviser. 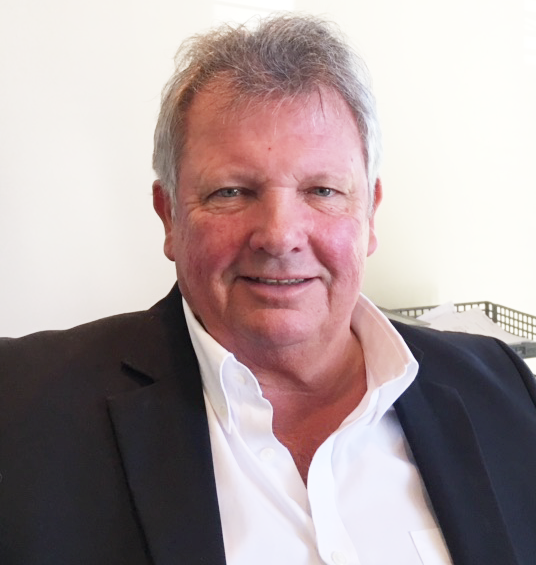 With an initial background in mortgage brokering and 22 years of experience specialising solely in risk insurance, Warren is amongst the top risk advisors in NZ. In the course of my insurance advice services I am fortunate to come across a number of different businesses. However, the situation doesn’t often arise that I feel so compelled to inform my clients of one so significant to want to make you aware. The business that I’ve discovered is Freehold Express. They teach their clients how to structure and pay their mortgage on their terms instead of the lenders terms. This is a completely different approach to reducing mortgage debt at a considerably faster rate while maintaining your existing lifestyle. There is a saying that “knowledge is power” so I put Freehold Express to the test by encouraging my own daughter and son in-law to work alongside Freehold Express. They are a finance savvy couple but were open to consider options that will help them get ahead quicker. After consulting with Freehold Express they have been amazed, just as I was, at what they can actually achieve within their current financial circumstances. Their results were spectacular. There is no way they could’ve achieved the same results without the advice of Freehold Express. Such was the impact of Freehold Express’ advice that they each rated their training at 10/10. Freehold Express offer a free Mortgage Analysis which will show you how much interest you could save, and how many years you could take off your mortgage. In my own experience it would be well worth your time to at least get a free Mortgage Analysis. 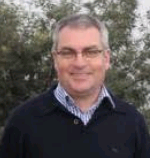 Their web site is www.fhx.co.nz or please contact Dennis Stevenson directly on 0800 66 66 61. If it’s not suitable for your circumstances it is likely to be for family and friends; just as it has been for my own family. Maree was about to take out a 20 year mortgage when Freehold Express showed her how to pay her mortgage off in 11 years. 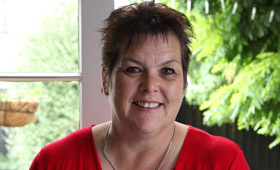 After only five months with Freehold Express, Maree further reduced the term her mortgage down to 9.5 years. Maree has now saved over $52,000 in interest. I am on my own with a teenage daughter. I had to trust someone so that I could buy a house. Fortunately my parents put me in touch with Freehold Express; I am so happy that they did. I became a client of Freehold Express just before I purchased my house. They showed me how to set my mortgage up in my favour, not the lenders, as would have been the situation. They shared their secrets with me and gave me so much advice about mortgages and paying them off much faster than the standard bank set up allows. The support, advice and helpful tools that I have received from Freehold Express have been brilliant! There is no way on earth that I would have ever known what I now know about mortgages, without Freehold Express. I took out a 20 year mortgage, and if it wasn't for Freehold Express, I would have done exactly what the bank wanted me to do, I would have become their client for 20 years. I am certainly not on a high income and I value every dollar that I earn. Even before I got my mortgage, Freehold Express had shown me how to pay the mortgage off in 11 years while maintaining my existing lifestyle. It is really empowering to then have the upper hand when dealing with my bank…… so much so, that I called Freehold Express to thank them straight after I left my bank. It was a fantastic feeling! Recently we had a "highly recommended" mortgage broker come to work and speak to us. After listening for 2 long minutes I switched off. He wasn't helping us, it was all for him and knowing what I know now, it definitely wouldn't have worked for me, maybe for him! Compared to Freehold Express, I gave him 1 out of 10. The 1 was for turning up. When I try to explain to my friends about how much Freehold Express have helped me they kind of look at me like I have grown a second head, they think that it will never work, or it's not for them. That is one of the reasons why I am writing this testimonial. It does work and anyone can do it! The best thing is that I am so relaxed about my mortgage; everything has worked out exactly like Freehold Express said, even better now. I was under more financial pressure when I was renting. My parents and I trust Freehold Express implicitly. They have earned our trust and we keep telling everybody about them. We noticed an advert on TV in the evenings from an outfit called Freehold Express. The general tone of the message seemed to chime with our own vision, which was to pay off our mortgage earlier than the terms we set with our bank. So I did something I don’t do often and decided to follow up and contact Freehold Express to find out more. Looking back we are so glad we made that first step. The beauty of the Freehold Express Plan was its simplicity. We didn’t need to change our lifestyle; all we had to do was use the tools provided. We initially set a goal of being mortgage free in 5 years, which was well ahead of the 15 year deal with the bank. Imagine our surprise when, with a combination of good fortune and sticking to the Plan Freehold Express gave us, we can now see our goal being achieved in 4 years not 5. Looking back it has been the best money spent and best advice we’ve ever received. Our advice is; if you are looking to pay down your debt much faster check out Freehold Express. A short time ago we were among the vast majority of mortgage holders who simply pay their bank the agreed sum every month without giving it too much thought. We didn’t like the prospect of spending the next eighteen years paying for our house nearly three times over in interest costs but we were not aware of how to change the situation. We were sceptical of the huge savings in interest that Freehold Express said were possible and we were reluctant to pay more money for the promise of future savings. It is nine months later now and we are on track to pay off our mortgage within 7 years. Not because we have changed our lifestyle or have gone without but because we are now smarter and have learned to make our mortgage work best for us rather than better for the bank. Freehold Express does not give you some “pointers” and then leave you to it. Rather, their fee covers ongoing mortgage advice whenever you need it until you are mortgage-free. They are proactive about getting the best result for you because their job is not complete until your mortgage is. We have been impressed by the expert advice and personal service that is available whenever we need it and have gained knowledge ourselves that will save us money in any future investments we make. We have recommended Freehold Express to many of our friends and we will continue to do so. After 4 years with Freehold Express Clint and Danielle now have just 4 years left on their mortgage. They have saved in excess of $157,167 in interest. Just a quick note to say thanks to you and your team for helping us with our debt reduction strategies. As you are aware, we were intending to build a modest home because we didn't think we could afford to build our dream home. When you showed us what we could achieve we decided to commit to our dream home instead. At a time when the country seems preoccupied with housing and debt levels, the strategies and tools you have taught us have made our lives a lot less stressful. In fact, our lifestyle has improved greatly, despite the fact that we are paying our mortgage off three times faster when we used the banks methods. The mortgage game using your rules is a lot easier and we look forward to being debt free much sooner. I imagine you meet and help a lot of people so am unsure as to whether you will remember me, I purchased your programme just over a year ago. At that time you spoke to me very directly about my options and exactly what would happen if I didn't make some significant changes. You made it very clear to me that l could not financially afford to continue living in the manner that we were because we were spending more than we earned. And then you spoke to my partner - which quite honestly was worth the money l paid for your programme, as no one had ever spoken to him like that. It was the wake-up call that we both needed. l implemented your programme and I have stuck to every word that you said. In February I married Peter and we have become a committed couple working and pulling together as a team. We are now on track to have our 16 year mortgage paid of in the next 3.5 years. I could not have done any of this without your intervention, and I am very, very grateful, it is fair to say that you changed the course of our lives for the better. I just wanted to drop you a quick line to express our sincere thanks for your help and direction in assisting us to pay off our home mortgage. We always thought we were doing everything right - and whilst, to a certain extent we were - it was only after you enlightened us to how it's possible to beat the system without breaking any rules, that we could see how it can work. Admittedly we were skeptical and the old adage that 'if it seems too good to be true - it usually is', rang through our minds even after we had it in writing from the bank that the mortgage had been paid off. You'll recall our phone call to clarify that letter as we just couldn't believe it! (I called you a magician in fact). So we are grateful to you beyond words for steering us in the right direction. The psychological empowerment this has given us is amazing and we look forward to applying the same principles in the future. We will also gladly refer anyone we have the opportunity to. Once again, many, many thanks and all the best. When we first heard about the Freehold Express Plan my husband was extremely sceptical that they could deliver a way to help us for two reasons. Firstly, that anything that sounds that good usually isn’t and secondly, with our level of debt and overheads, that we could be helped. How wrong we were! It has changed the way we regard our money, we now MANAGE our finances and we also now have a much better quality of life without all that additional stress of feeling like we’re working just to pay the bills. Best news of all is that in 11 years we will be debt free and have saved $192,000 in interest!! I joined Freehold Express a year ago as you know. I was reluctant at first and worried about my income for the next year at the time. This was because of the contract work that I did and no guarantees regarding future work and because of my age and the looming/already happening recession everywhere. However, I took the plunge and paid the fee necessary to have the continuing advice and ongoing support regarding my mortgage. I have been relieved by doing this and although at first I thought the fee was a lot of money to pay for the privilege, I have not regretted doing this. I was offered a job around April this year and I have been working fulltime with the company since then. I have more confidence about asking for help when I need it from you and the company, and I have managed to save quite a lot of interest on my mortgage already. I like to know I can send in an update form from time to time and to know that I can get the go ahead on saving more interest. This has been quite a big psychological move for me. As I live on my own and have few resources to call on about these things, I am truly grateful for what support I have had over the last year. I would not hesitate to recommend your company to other people wanting to pay off their mortgages more quickly and more efficiently with the support of people prepared who will look after you in your endeavours to become mortgage free. Thank you for your past support and I look forward to a continuing constructive relationship with Freehold Express. Update: In January 2018 Helen paid her 25 year mortgage off after only 10 years. I can’t remember how we discovered Freehold Express, but I am very glad we did. We have had a mortgage for many, many years, we were paying more than the required minimum repayments, I had cash flow spreadsheets for this and separate bank accounts for that, yet we still weren’t getting ahead or making a dent in our borrowings. While everything we were doing was precise and organised, it wasn’t helping in the big scheme of things. Since being introduced to Freehold Express, we have a much better understanding of how our mortgage actually works – and how to get it working in our favour, rather than that of the bank. We had been going to sell our property and downsize a little to try and get ahead mortgage wise, now with our Freehold Express plan in place, we have been able to plan, not to downsize, but build a new family home and be mortgage free within about eight years. Freehold Express just makes sense, and without having to make big sacrifices it shows you how you can be in control of your ‘mortgage destiny’ – why wouldn’t anyone want to do that? I found Freehold Express on a TV ad and thought that might be the way to sort my mortgage out. I am 59 and my mortgage had 20 years to run. Dennis told me that I could have it all sorted in around 4 years. To be fair I was a bit sceptical but took a punt anyway. I went to my bank and did as told by Dennis and bugger me the bank agreed! To be fair it took me a while to get my head around the way Dennis looks at things, but upshot is that it definitely works. We have only been doing it for about 8 months and off the top of my head I would say about 30k extra has come off our mortgage. Wish we started a few years ago. Back in March 2014 our $160,000 mortgage felt like it could be hanging around our necks for years. After we got together, after both being in previous partnerships, we were both financially worse off than a lot of people our age in our late 50’s. We saw the Freehold Express advertisement so decided to go online and check it out. Two years down the track we are down to approx $20,000 left to pay, we have still been having our holidays, carrying out house renovations and continue to enjoy going out for dinner, weekends away and living a good life. So this year we should get that $20,000 paid off and hope to purchase a new car as well without any change in our lifestyle. Things looking much better at the start of 2016 financially than they were two years ago! It just takes that first step – picking up the phone or going online to contact Freehold Express to set things in motion. Myself and Ren are very excited to be on the Freehold Express train, headed for better financial times. What this means to us: This is HUGE!!! !.....we no longer have to slowly climb down Mount Mortgage Everest for the next 30 years! Having the knowledge to beat the banks at their own game is so inspiring and liberating. The plan is just GOLD. It helps us keep a very good track of where we are at financially. Such a great tool to have in our toolbox. Having been in the Army for 22 years, I am confident in my abilities to handle most situations. But finances are probably a weak area if I am honest. Your knowledge has given me the confidence to aim high and plan a great retirement and eased the stress around our current financial situation. Having a road map to success makes this whole journey so much easier and gives us a very clear focus. Thanks Dennis and the FHX team, you have certainly just had a major impact in our lives. Words cannot express our gratitude enough. We were both 65 years old and still had 25 years left on our bank mortgage. This was concerning us as our working years were fast coming to an end, and we had visions of having to sell our house and move. I saw an advert for Freehold Express and contacted them. They reviewed our finances and told us that by going with their plan we could pay our mortgage off in 3‐4 years this was music to our ears, but inwardly doubted that it could be so. Thought they must be having us on. We have finished our first year and are absolutely thrilled; we are well on the way to achieving our 3-4 year target. Each month it’s exciting to see how we are going. We have still managed to live normally, have holidays, we even travelled overseas. Check them out it doesn’t cost anything for them to see if they can help you. We have no hesitation in recommending Freehold Express to you. Dealing with Dennis was superb. As this is a major financial chapter in our lives, dealing with Dennis who is patient, helpful, non judgemental, understanding, knowledgeable, clear and concise made us feel empowered to conquer the mortgage game. I can truly tell you that within 1 month of starting the plan we are already seeing the results of this personally tailored mortgage strategy. Our implementation strategy and planner are in an easy to follow format to ensure that we don’t pay a cent more of interest to the banks than we need to. I recommend this to everyone, this is all that it says it is and more!! !